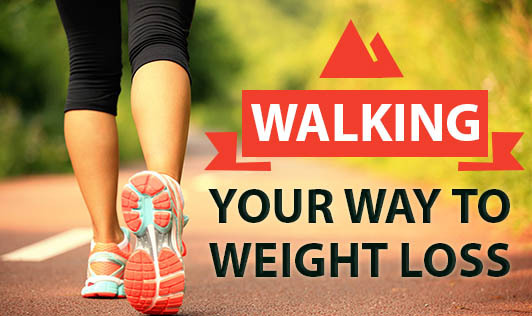 If you want to lose weight and improve your fitness but don't know where to start, walking can be your best option. Every walking workout should begin with a brief warm-up and a few simple stretches. When walking try to focus on good posture, keep head lifted and shoulders relaxed. Always try to swing arms naturally and breathe deeply. Don't forget to reward yourself after each workout with a few minutes of relaxing stretches to help prevent sore muscles. Listening to music while walking is a great way to energize the workout. If you'd eventually like to add jogging to your exercise program, incorporate some very short jogs into your walks and over the time increase the number of those jogs and their duration (for example, walk 5 minutes, jog 1 minute, walk 5 minutes, jog 1 minute, etc). For maximum enjoyment, motivation and safety, find a walking partner to share your walks with.